Why not have a safe place for your Monkeys!! The Deluxe Fort Combo 3 offers that for you! 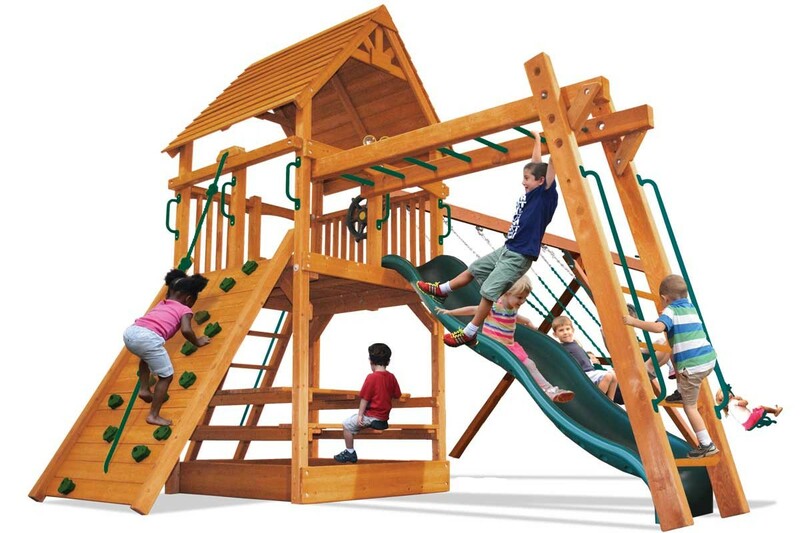 Your family will get many wonderful years of fun and exercise with the huge deck area, the challenging rock wall, the Monkey Bars, the 10ft wave slide and 8ft high swing beam, The Deluxe Fort Combo 3 has everything you need for active children with many options to choose from.